a. Connect collector pin of infrared remote tester to positive terminal of electrolytic capacitor of RC module. 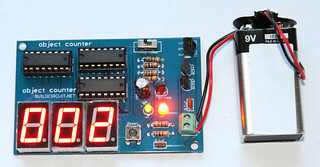 b. Connect counter module to RC module. Connect collector pin of transistor (in RC module) to pin 1 of 4026B. c. Orient infrared transmitter towards infrared receiver module. Whenever you block the infrared beam, the circuit starts counting. Use infrared LED in infrared transmitter. 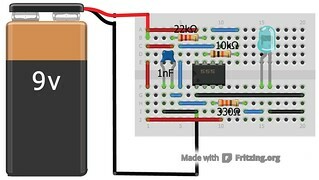 HOW TO MAKE AN INFRARED TRANSMITTER? 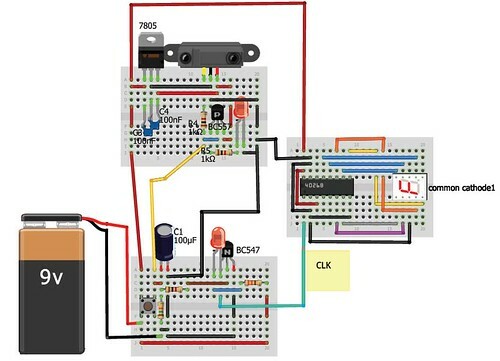 I want the circuit diagram for digital counter using sensor . hye sir, can u give me the example how to make this circuit? i mean how to create this project.. i really need it.. The circuit connection has been shown on this page. 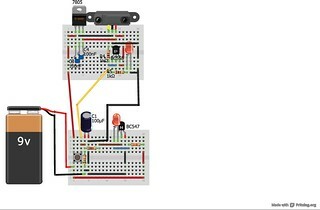 First learn how to make project on breadboard: http://www.buildcircuit.com/building-a-circuit-on-breadboard/. 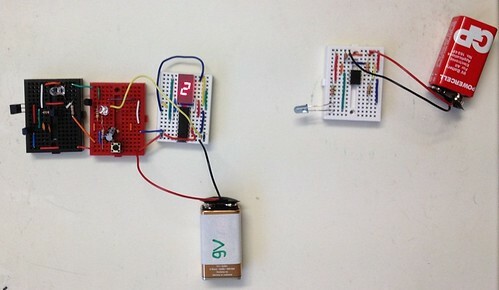 Then, you can easily build the object counter circuit. I have already made the circuit but its not working . I think the problem is the ir sensor . because the rest of the component is working . Can I get a comprehensive circuit diagrams on microcontroller based digital object counter? I don’t have that. sorry. sir, i have question on these can u help to answer me ? 1. The seven segment display can i use the pin are in horizontal form? 2. The infrared detector, must i use exactly as TSOP4838? 3. Can the counter start from 0? 1. Yes, you can use. 3. Yes you can start from zero. Sir thx for your answer but now when i start work on it i found some new question would u answer me again? 1. 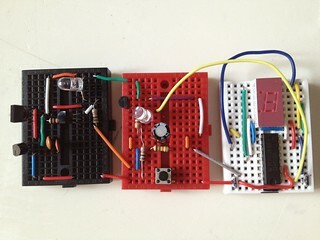 First, all my module (RC,infrared detector and counter) can work independently but when i connect all together, the LED of my RC module and infrared detector will light up. I thought it will only bright up only when receive IR. Is that my circuit connection problem? hi,you don’t mind if i want schematic diagram ..please reply ..
Hi Sir , can this circuit connect to arduino ? I want to make this as my counter to stop my robot arm.